We took these photos a couple of months ago in a client's yard and thought we'd share them with you. It's amazing what you can grow in a small city lot when you have rich, healthy and bioactive soil. 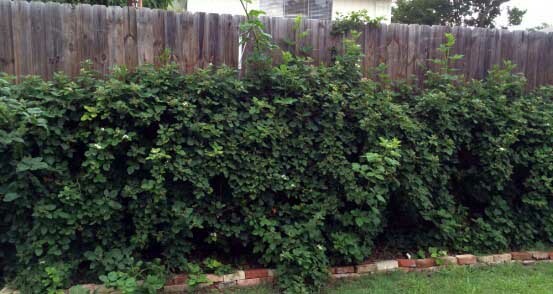 In this yard, our client took a narrow space against a fence and creating a living and fruitful hedge of blackberries! As you can see by the closeup, the plants are super healthy with no nutrient deficiencies or disease problems. 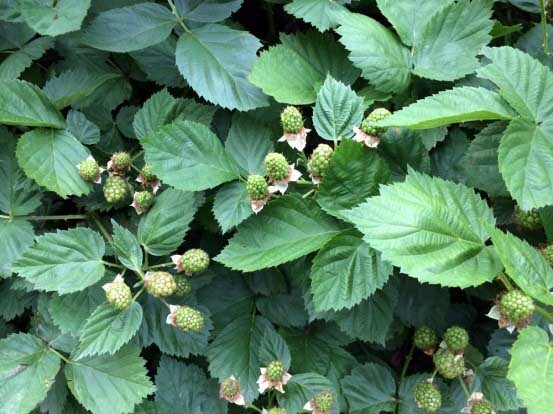 These blackberries happily benefit from our organic soil building and fertilizer treatments. Don't let anyone tell you that you can't successfully grow a bountiful harvest in your backyard using only organics!